According to the Center for Disease Control, one in four Americans will die of heart disease. In fact, heart disease is the number one killer in the United States for both men and women - even above cancer and other diseases. So why isn’t there more focus on treating and preventing heart disease? For one thing, there is a clear path toward preventing heart disease. Heart disease is one of the most preventable diseases with proper diet and exercise. There are few treatments that are as effective at preventing a heart disease death as simple lifestyle changes. If you have a history of heart disease in your family, or are ethnically inclined toward the disease (African-Americans and Caucasians are at the highest risk) it is important to take whatever steps possible to prevent the disease and lower your chances of getting sick. Warding off heart disease can prevent complications like a heart attack, or the use of medical balloons to keep heart passages open after a heart surgery. Diet is the number one risk factor for heart disease. Cleaning up your diet will help reduce your risk factors for heart disease as well as many other common diet-related diseases, including type II diabetes. One of the best ways to avoid heart disease is to reduce your number of irritants in your body. Processed foods, foods high in oil content, processed grains, and many sugary foods tax the body and give little nutrition back. Eating a diet balanced in fruits, vegetables, and protein can help you avoid placing strain on your body’s systems by maintaining a healthy weight and other factors. Exercise can significantly reduce your chances for getting heart disease. 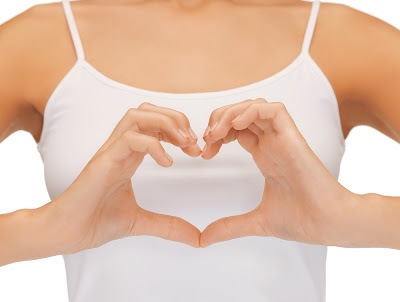 Heart disease is more likely to strike someone who is overweight. Maintaining a healthy body weight is one of the best things you can do to reduce strain on your heart. Even exercising as little as 30 minutes a day, doing something as moderate as walking, can significantly reduce your chances of getting heart disease. However, more strenuous exercise will make it easier to maintain a healthy weight. Heavy drinking or smoking can also contribute to heart disease. If you are a drinker or smoker, it is important to reduce these habits or eliminate them completely if you are at risk for heart disease. The European Commission site, iCoach, can help you with quitting smoking. If your blood pressure is high, you are at higher risk for heart disease. Visit the doctor regularly to keep your blood pressure in check with medications, if diet alone does not seem to lower it effectively. Avoid high-stress environments, if possible. Avoiding salty, fatty processed foods can also help reduce your blood pressure. If you follow this avoidance plan, you will vastly reduce your chances of getting heart disease, even if you are generally and ethnically predisposed to it. For heart disease, prevention is always key and the best way to stay heart healthy. This is a guest post by Lilly Sheperd, a freelance writer who shares her thoughts on various blogs.